Cannon Stainless Steel Gimbal mounts are polished stainless steel and enable you to mount your downrigger in 30° flush mount rod holders with these sturdy, corrosion-resistant mounts. Cannon Aluminum Swivel Downrigger Pedestal Base features a sturdy Swivel base that works with either surface or track mounting, and comes in 4" or 6" heights. The Swivel Pedestal base also features 16-pt. 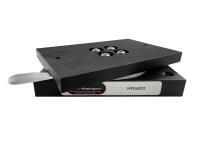 locking indexes every 22.5 degrees and provides 360 degree rotation. The top plate is pre-drilled and tapped to allow mounting of a Cannon swivel base and downrigger, as well as other swivel base and downrigger brands. The Cannon Downrigger Low Profile Swivel Base is constructed of heavy-duty Lexan. 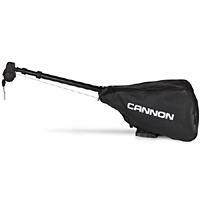 Cannon Digi-Troll Transducer provides bottom tracking ability to Digi-Troll downriggers. 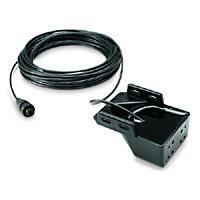 Network up to six downriggers to troll at set distances from the bottom through this single transducer. Make your trolling more effective. Cannon part number 1491072. The Cannon Stainless Steel Magnum & Digi-Troll Mounting Base is built for large-body electric Cannon downriggers. Features 316 stainless steel construction for unrivaled protection against rusting, pitting, and corrosion. Compatible with Cannon Magnum 5 ST, Magnum 10 STX, Magnum 10 STX-TS, DT5, DT5 TS, DT10, and DT10 TS downriggers (sold separately). 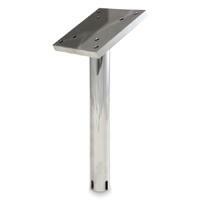 This Mounting base is Cannon part number 1904045. 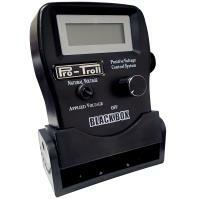 Pro Troll Black Box is a device used with a downrigger to place a very small electrical charge on a downrigger cable. Many species of fish are attracted to this charge including salmon, trout, halibut, sturgeon, shark and many others. The latest computer chip technology has allowed construction of a Black Box that has superior operating features but is substantially lower in cost than any other unit on the market. 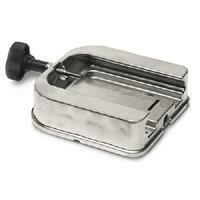 The Walker Downrigger Swivel Base fits all Walker Downriggers with a 4" x 6" base. 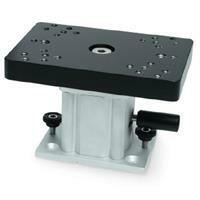 This swivel base rotates 360º and locks into position. This base features aluminum construction with a protective finish, is black in color, and has an easy to grip silver lever. The Retro-Ease Weight Retriever makes leaning over the side of your boat or swinging your downrigger's long boom in to change lures or work on lines obsolete. The Retro-Ease comes complete with a pulley. It fits all downriggers with booms up to 8 feet long. Cannon Stainless Steel Gimbal mounts are polished stainless steel and enable you to mount your downrigger in 30° flush mount rod holders with these sturdy, corrosion-resistant mounts. This method is preferred by some boat owners, both for security, as you can remove the riggers easily from the boat, and because it gives a mounting option that doesn't involve drilling holes in the transom of the boat. Simply slide the mounts gimbal tube into your boats recessed holder. Once in place, you have a base ready to accept your downrigger. No holes to drill or changes to make to your boat. 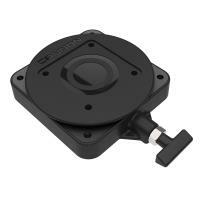 We stock the Gimbal Mount in 9" and 12" sizes, measured from the bottom of the gimbal tube to the backside of the base. 1-1/2" O.D. Tube.